Kick off your visit on the 1st (Sat): explore and take pictures at The Great Ocean Road, then take some stellar pictures from Point Danger Lookout, and then let the kids burn off some steam at Torquay Foreshore Play Park. For ratings, photos, more things to do, and other tourist information, you can read our Torquay online attractions planner . Kuala Lumpur, Malaysia to Torquay is an approximately 14-hour combination of flight and bus. You can also do a combination of train, flight, and bus; or do a combination of bus and flight. Due to the time zone difference, you'll lose 2 hours traveling from Kuala Lumpur to Torquay. Traveling from Kuala Lumpur in June, expect Torquay to be colder, temps between 16°C and 6°C. Finish your sightseeing early on the 1st (Sat) so you can drive to Warrnambool. Warrnambool is a regional centre and former port city on the south-western coast of Victoria, Australia. Kids will appreciate attractions like Loch Ard Gorge and Thunder point Coastal Reserve. 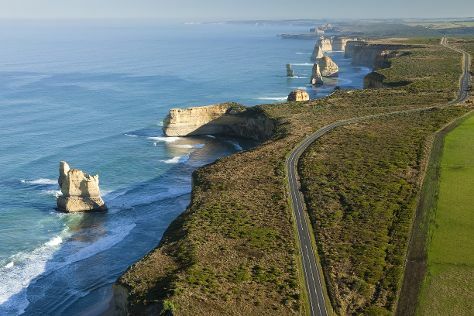 Venture out of the city with trips to Port Campbell (Port Campbell National Park & London Bridge). There's much more to do: stroll through Lake Pertobe Adventure Playground, explore the activities along Bay of Islands, examine the collection at Flagstaff Hill Maritime Village, and contemplate the geological forces at Tower Hill Wildlife Reserve. To see photos, other places to visit, ratings, and more tourist information, use the Warrnambool online trip itinerary planner . You can drive from Torquay to Warrnambool in 2.5 hours. Alternatively, you can take a train; or take a bus. Wrap up your sightseeing on the 4th (Tue) early enough to travel to Rosebud. Kick off your visit on the 5th (Wed): play a few rounds at Rosebud Park Golf Course, then admire the natural beauty at The Enchanted Adventure Garden, then admire all the interesting features of Hart's Farm, and finally admire nature's wide array of creatures at The Nobbies Centre. 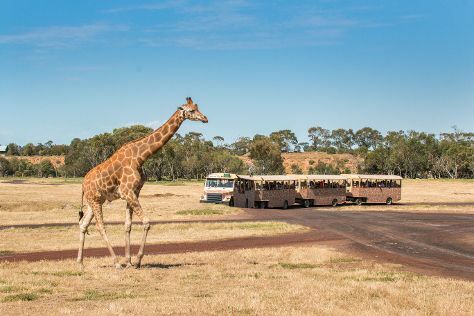 Get ready for a full day of sightseeing on the next day: take in nature's colorful creations at Victoria State Rose Garden and then admire nature's wide array of creatures at Werribee Open Range Zoo. To see photos, other places to visit, more things to do, and more tourist information, use the Rosebud online trip itinerary maker . Traveling by car from Warrnambool to Rosebud takes 4 hours. In June in Rosebud, expect temperatures between 16°C during the day and 7°C at night. You will have some time to spend on the 7th (Fri) before leaving for home.